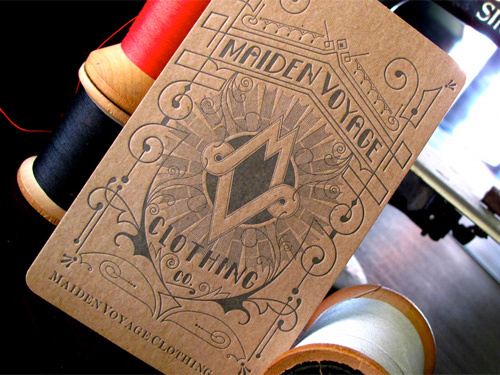 Anemone Letterpress: Maiden Voyage Clothing Co.
Letterpress hang tags by Anemone Letterpress for Maiden Voyage Clothing Company. Printed on 100 lbs. Mohawk Proterra in Antique Jute with a beautiful gray ink. Wonderful texture is created from the paper and beautiful logo. Awesome.